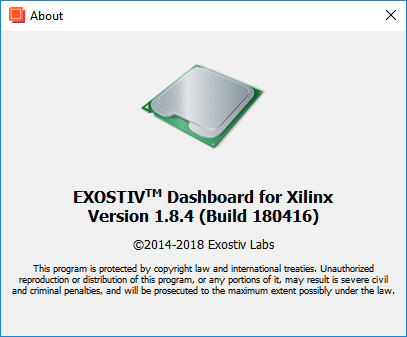 The build number is the number referencing a new incremental build/release of Exostiv Dashboard software. We sometimes release a new Dashboard build instead of a new software version number when to build-to-build change does not fundamentally change the software functionalities. More recent builds usually contain additional functions and minor bug fixes. It is always interesting to update software to the latest build. Check the build number in the window that pops up. The build number was introduced from Exostiv Dashboard version 1.8.4.